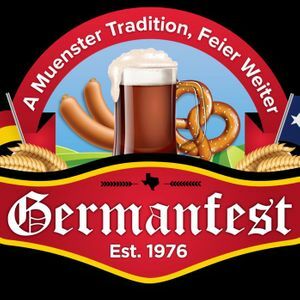 This family, of common heritage and faith, throws one of the biggest parties in Texas, Germanfest, the last full weekend in April. This three-day festival attracts thousands to mouthwatering German sausage, scrumptious apple strudel, hearty cheeses and homemade bread, cakes and pies. So, come to Muenster and let us be your host for food, fun and frolic. Be sure to bring a "guten apetit."